Last week I wrote about the incredible Basilica Cistern in the heart of the Sultanahmet, or historic center, of Istanbul. 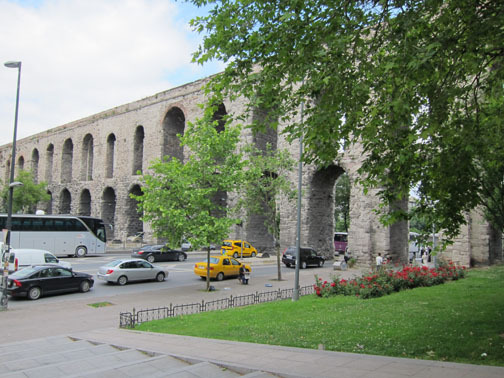 All the water needed to fill that and other cisterns in Constantinople was brought in through an extensive aqueduct network which partially survives today. The most significant portion is the Valens Aqueduct constructed by Emporer Valens in the 4th century AD. It is about 95 feet high with about a 13 foot arch span which now allows cars to drive through the Byzantine aqueduct. 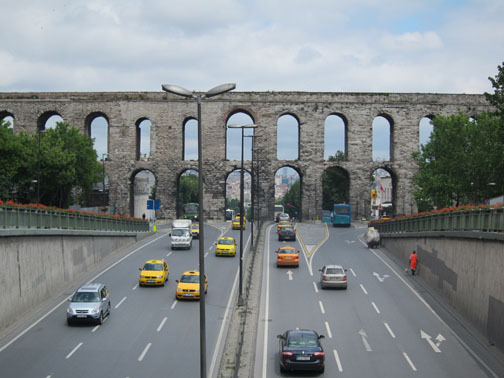 Today the Valens Aqueduct crosses over the busy Atatürk Bulvari which is mostly a North-South artery. 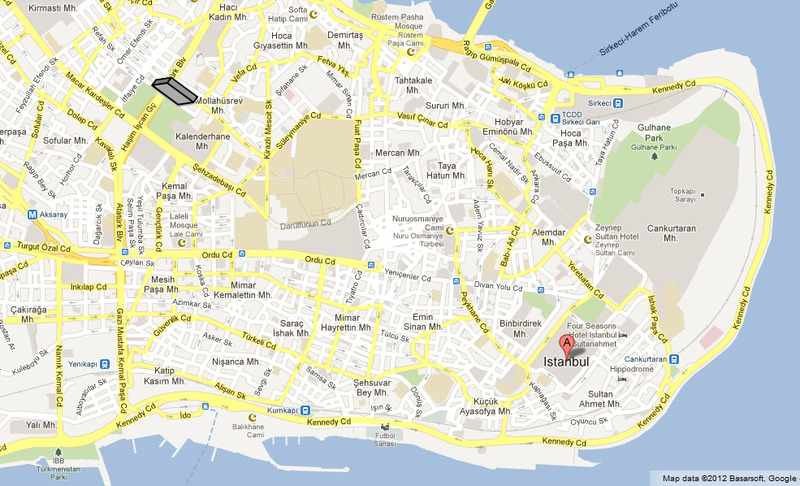 It’s a 5-10 min walk from the Aksaray tram stop and surrounded by a city park. I wish we’d brought a picnic lunch as there were plenty of office workers eating in the park when we stopped by mid-day. 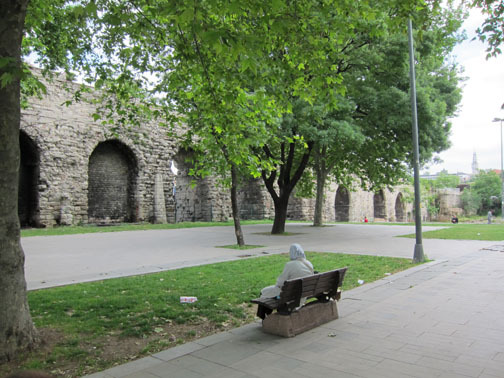 The Valens Aqueduct is a nice historic sight if you have time in Istanbul and love history or architecture. From there, we took a cheap cab ride to the Chora Church which is another Byzantine site outside the main historic area. Lucky you, Switzerland is so beautiful! I love that you can’t wander far in Europe without finding an ancient wall, castle or monastery.